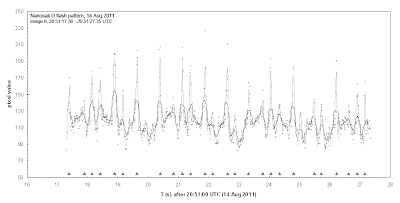 As in late May and early June, Nanosail-D (2010-062L), the experimental NASA Solar Sail is making favourable passes again and under favourable conditions becomes bright and is flashing rapidly. 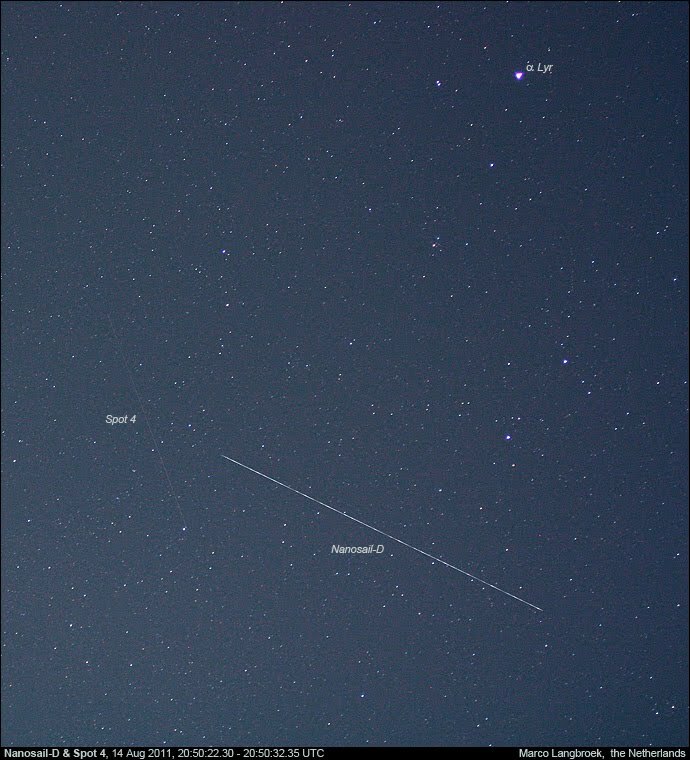 Yesterday evening around 22:50 local time (20:50 UTC) I observed it when it made a near-zenith pass, from SW to NE. 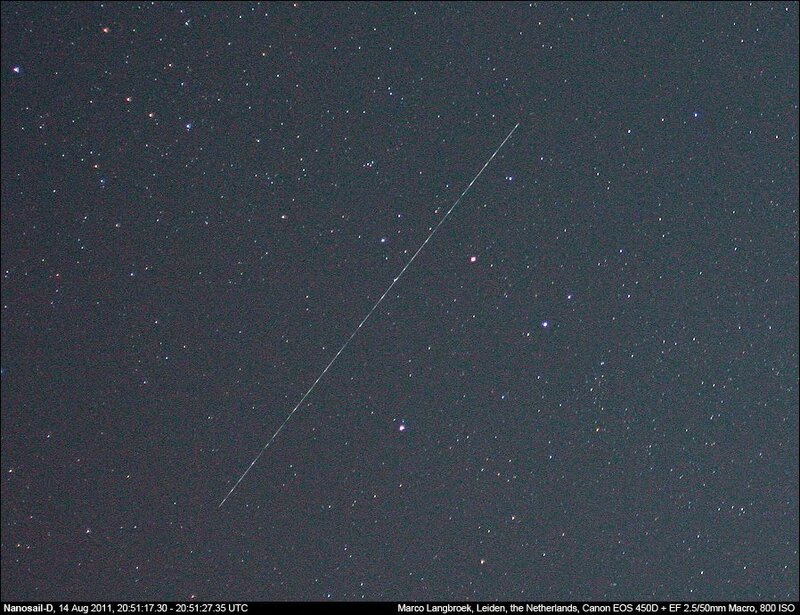 While ascending and going through the zenith it was quite bright and an easy naked-eye object, reaching mag. +1.5. It was rapidly and very irregularly, rather nervously flashing. I shot four images, two of which are shown below: in the first image, the brightness variation is photographically less apparent than it was visually, because the trail is near saturation. 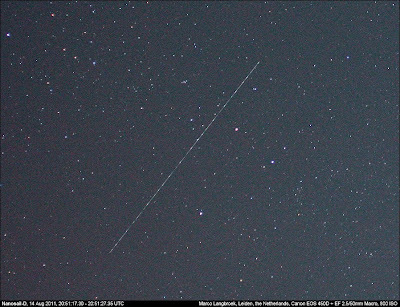 It shows the Solar sail passing just below Lyra (Vega in top left) along with a stray, the French Optical Remote Sensing satellite Spot 4 (98-017A, the fainter of the two trails). 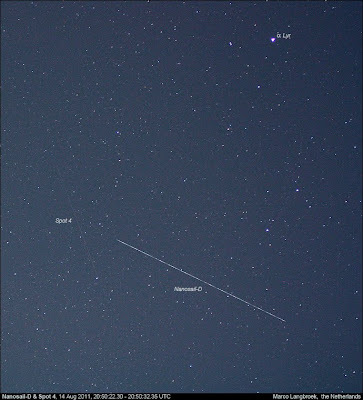 The second image, shot while Nanosail-D was getting fainter, shows the sharp flashes more readily. A large number of sharp brightness peaks can be seen: I count some 26 peaks in a 10.05 seconds time span, the one more prominent than the other. 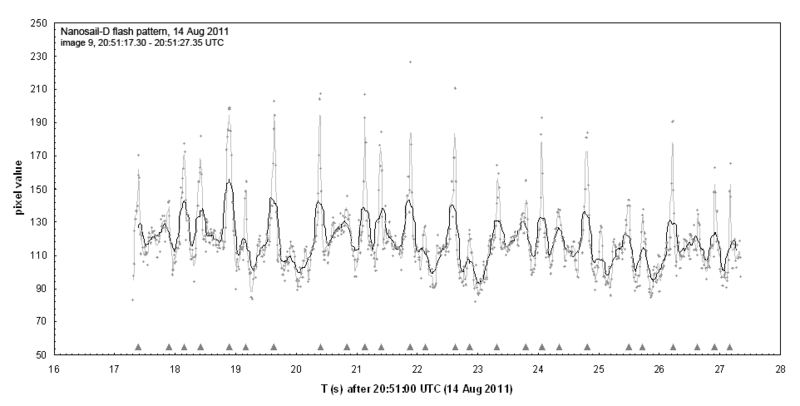 No regularity in the pattern is apparent.